A Organic refers to the way agricultural products—food and fiber—are grown and processed. Organic food production is based on a system of farming that maintains and replenishes soil fertility without the use of toxic and persistent pesticides and fertilizers. Organic foods are minimally processed without artificial ingredients, preservatives, or irradiation to maintain the integrity of the food. Q What does "Certified Organic" mean? 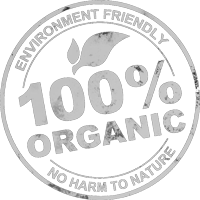 A "Certified Organic" means the item has been grown according to strict uniform standards that are verified by independent state or private organizations. Certification includes inspections of farm fields and processing facilities, detailed record keeping, and periodic testing of soil and water to ensure that growers and handlers are meeting the standards which have been set. Q How will purchasing organic products help keep our water clean? A Conventional agricultural methods can cause water contamination. Beginning in May 1995, a network of environmental organizations, including the Environmental Working Group, began testing tap water for herbicides in cities across the United States’ Corn Belt, and in Louisiana and Maryland. The results revealed widespread contamination of tap water with many different pesticides at levels that present serious health risks. In some cities, herbicides in tap water exceed federal lifetime health standards for weeks or months at a time. The organic farmer’s elimination of polluting chemicals and nitrogen leaching, in combination with soil building, works to prevent contamination, and protects and conserves water resources.